Mihol is an ancient crofting valley with a brown trout mill burn. Inverewe gardens, 3 beaches, golf course and leisure centre close by. Children and pets welcome. Large shed for mountain bikes and equipment. Badachro is a picturesque old fishing community on the magnificent north west coast of Scotland. Badachro is situated in a sheltered bay off the sea loch, only six miles away by road from Gairloch. Gairloch is a small seaside town with a traditional West Highland character. It contains a wide variety of activities for both wet and dry weather. These include a prize winning heritage museum, a 9 hole golf course, watersports, sea fishing, restaurants and a good selection of shops, including two fish shops and local craft shops. 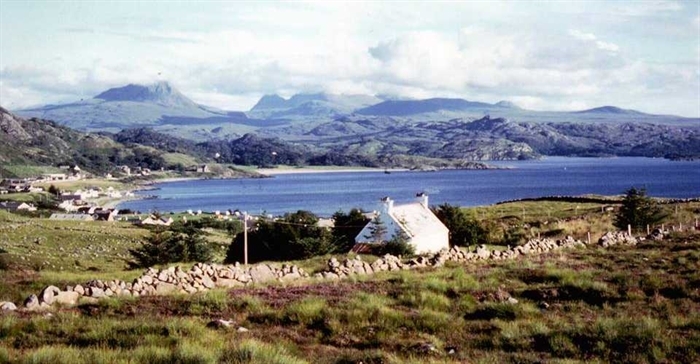 The cottages all have spectacular views over Badachro and Gairloch bays. In Badachro, the waterfront village inn is within walking distance. You will enjoy the friendly atmosphere of this local pub. It serves lunch and bar meals. 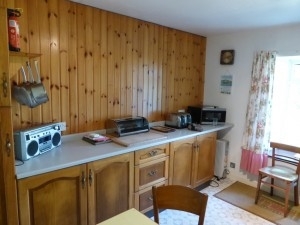 They are in ideal locations for hill walking, bird watching, fishing or just having a very relaxing holiday. Beautiful, unspoilt clean sandy beaches are nearby, in Gairloch, Port Henderson and Red Point. In Poolewe you can visit the world-famous Inverewe Gardens. Achiltibuie is now famous for the Hydroponicum which is a indoor garden growing fruit, flowers and herbs without soil. The much photographed fishing port of Ullapoolhas the ferry link to Stornoway. South of Ullapool lies the Corrieshalloch Gorge a long, deep box canyon originally created by glacial meltwaters. The magnificent Falls of Measach are at one end. The surrounding countryside has a wide variety of wildlife, birds, and deer. Seals are often seen playing in Badachro Bay. Otters are occasionally seen. Wildlife and landscape photographers will need a large supply of film. 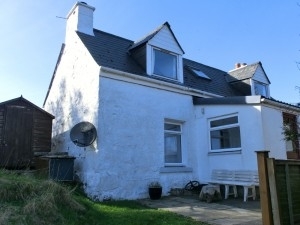 The area is a perfect location for bird watching, loch and sea fishing and hill walking. The famous Torridon mountains are nearby while around Loch Maree, many paths wait to be explored. The entire area has inspired many a landscape or seascape artist. Their work is available in the local craft shops and galleries. A great many visitors return each year to enjoy the relaxing, peaceful atmophere and the friendly Highland welcome. Many lasting friendships have been established. Visitors who prefer a relaxing holiday will discover a unique tranquillity and peace in this rugged paradise.